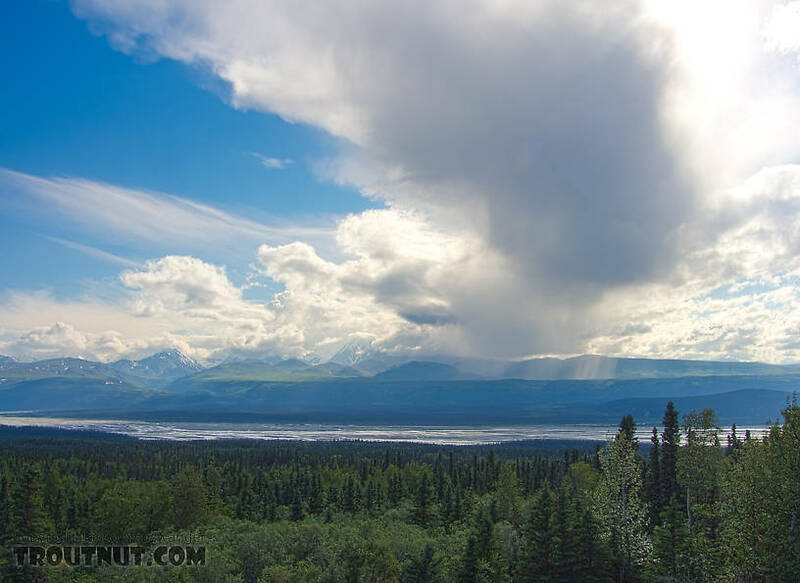 Every time I drive past the Delta River overlooks on the Richardson Highway southwest of Fairbanks, I look for the wild bison that supposedly calve in that area. 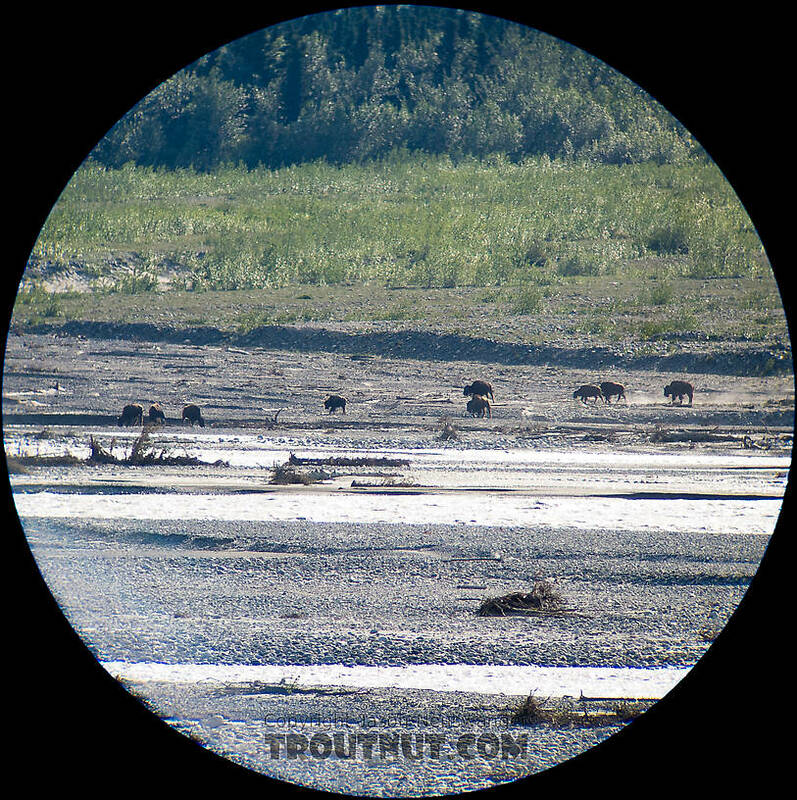 I've never seen them until this trip, when a few dozen were milling around out in the open valley next to the big glacial river. I snapped this picture through my spotting scope. 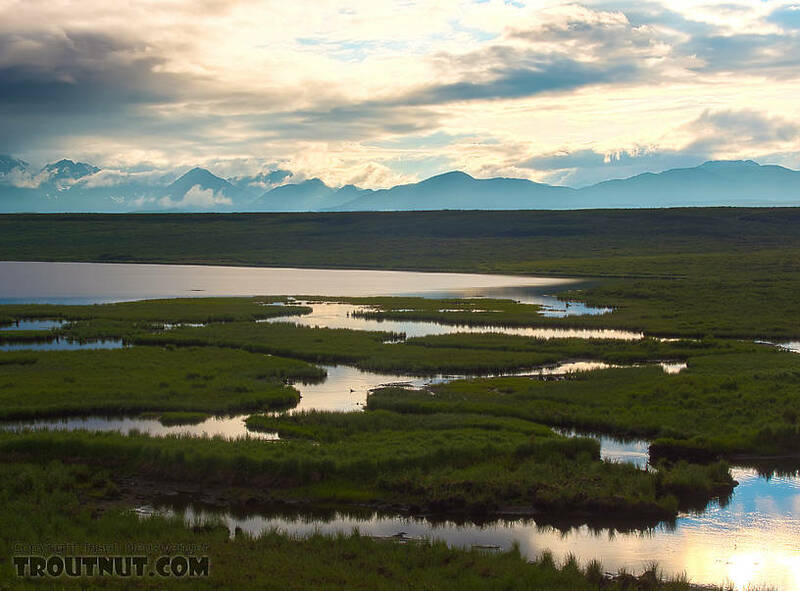 This was one of our first views of the mountains we'd be hiking into, seen from across some lakes in the upper Osar Creek drainage.